The BBC has published a bizarre but worrying story about a new car theft trend that has affected hundreds of Bedfordshire residents. Since April this year there has been a significant rise in the theft of car parts, specifically from Vauxhall cars. The thieves usually target residential areas and garage forecourts between 2am and 4am. Since August 2013 there have been over 500 reports of car parts being stolen from Vauxhall Astra and Corsa models. Recently there have been as many as 10 crimes of this nature recorded each week. The parts being stolen are generally ones that would need to be replaced on cars that have been in an accident, so police officers think these stolen parts are being sold on to the body repair market. Bedfordshire Police reports that there has also been a rise in thefts of entire Vauxhall vehicles. They have recently increased enforcement activity and are working to gain public awareness. [symple_box color=”gray” text_align=”left” width=”100%” float=”none”]“We have seen a rise in the theft of bumpers, seats and bonnets from Vauxhalls, as well as some incidents in which an entire car has been stolen from driveways and later found stripped of parts. “Vauxhall vehicles are particularly popular in Bedfordshire due to the long-standing connection of the company with the local area. We suspect that the prevalence of the vehicles coupled with the fact that even higher specification models are not routinely fitted with audible alarms makes them a target for these crimes. Think you might be at risk? Security mark your car. More info here. Secure your number plates using tamper proof or clutch head screws. 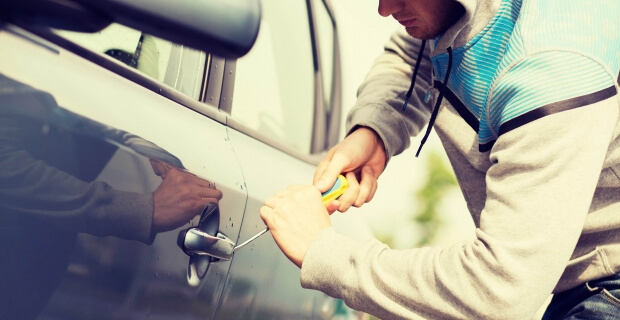 Click here to read our top 10 tips to help prevent your car being stolen. You should report any illegal or suspicious activity. If you have any information that might help the police, please call them on 101, or text 07786 200 011. Alternatively, you can contact Crimestoppers anonymously on 0800 555 111.